OK. Yes. It was built in the USA. Saab had little input in its design. Some refer to it as a Trollblazer, a combination of the Chevy Trailblazer it is based on and Trollhättan, Sweden, where Saab's offices and production plant are located. (I write "are," because it appears that new Saabs are again being produced in Trollhättan. Yes!!) Still, this is a very cool SUV. In it's day, the 9-7X was the top of the line Saab and the top of the line GM GMT360 platform. Besides the 9-7x and the Trailblazer, the GMC Envoy, Buick Rainier, Oldsmobile Bravada, and Isuzu Ascender all shared GM's GMT360 platform. 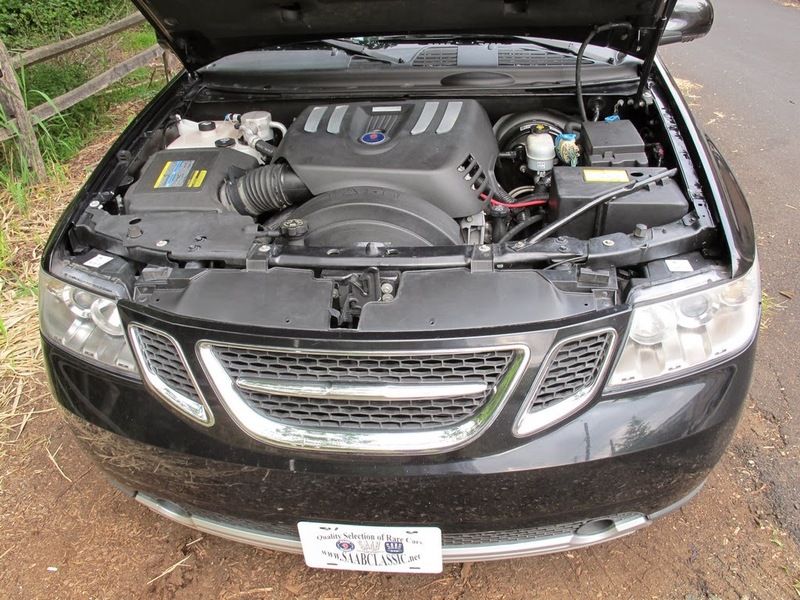 Along with the Saab grill and badges, other differences between the Saab 9-7x and the other GMT360 vehicles include a lower ride height, stiffer bushings and a quicker steering ratio. 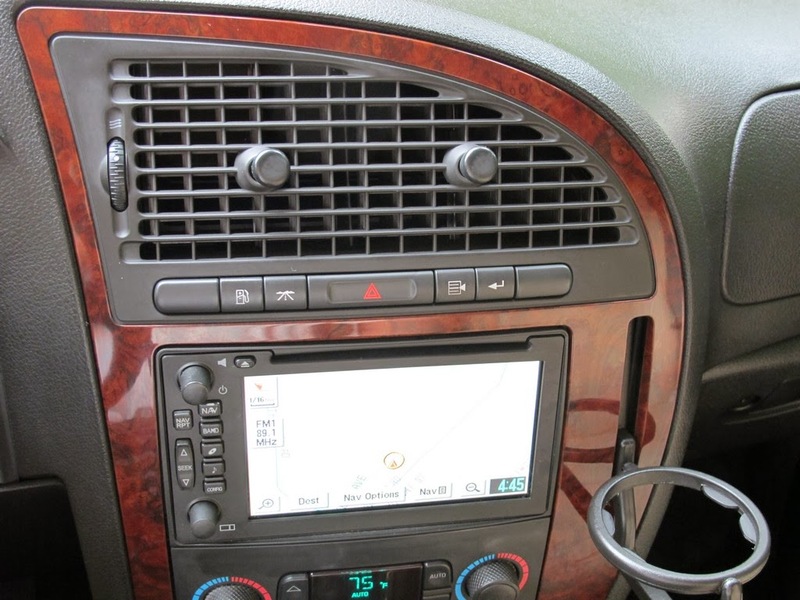 Inside, it has a Saab inspired dashboard, which includes Saab's incredibly cool fold-out cup holder. 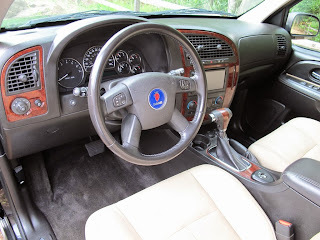 The ignition switch is, of course, located in the center console. This is a very cool Aero version of the 9-7X. Only 500 were sold in 2008. (Another 139 were sold in 2009). All 2008 model year Aeros were the same color, "Carbon Flash Metallic." They came with a 6.0 liter GM LS2 V8. The suspension was upgraded and it sits on 20" rims and tires. It gets to 60 MPH in 6 seconds. This 9-7X Areo looks to be in very nice condition. It has 80,000 miles on it. With regular maintenance and common sense, you should be able to get another 120K out of it, easily. I know that some people will be pissed off by this post. 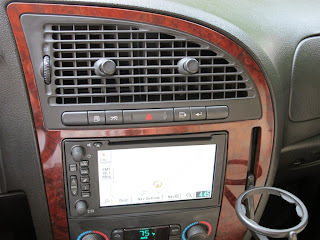 The vehicle is only 6 years old and this is an "old car" blog. But, with only 500 having been built, it's rarer than many of the old cars I post. With a 0-60 time of 6 seconds, it's faster than most of the cars I post. Since it's recent and GM built, the mechanical parts are, for the most part, cheap and easy to find at any auto parts store, discount store, etc. It's a rare, fast, everyday vehicle, not a classic. The asking price is just under $15,000.00. You can get a nice old Land Rover for that kind of money, but they are expensive to maintain. A fairly recent Toyota RAV4 will also cost about the same and you'll get better gas mileage. But, it's smaller and definitely not as much fun to drive. 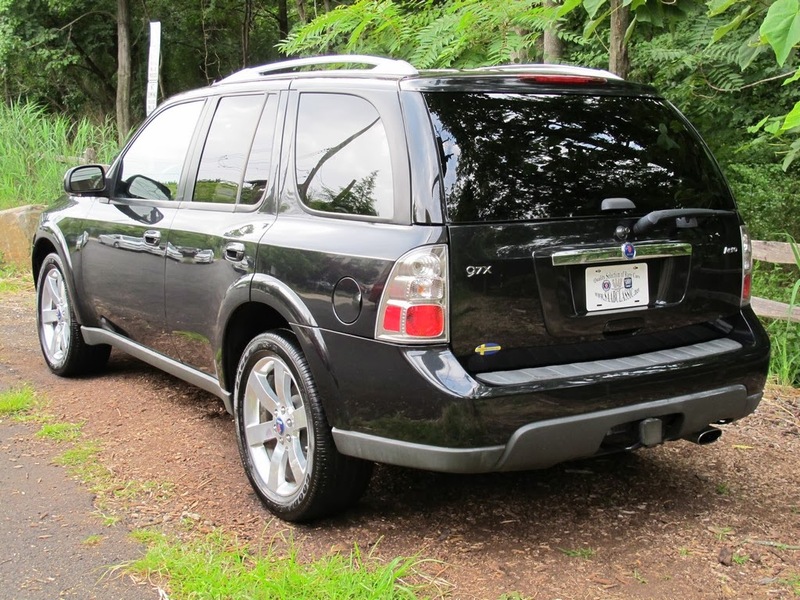 All things considered, if I were in the market for a newish SUV today, I'd buy this one in a heartbeat. In some people's eyes the 9-7X represents everything that was wrong about GM's failed ownership of Saab. I understand all that. To a point, I even agree. Maybe instead of looking at this as a bad faux-Saab, it should be looked at as the best vehicle ever built on GM's GMT360 platform. Because, really, that's what it is. Located in Staten Island, NY, click here to see the eBay listing. As a Saab 9-2x Aero owner, I approve of this post. I did not know you could get a Aero version with the ss 6 liter. What a cool, unknown suv! 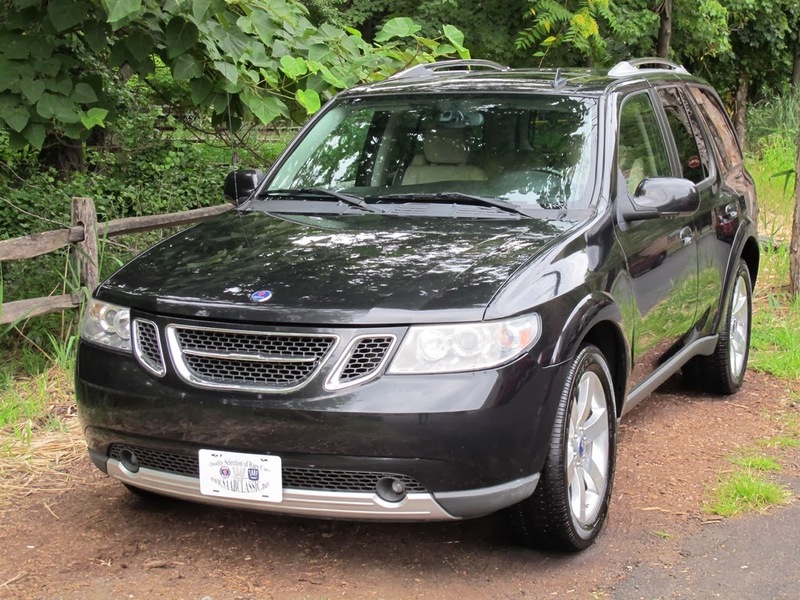 It is both the worst Saab ever made and the best Trailblazer. The aero is, of course, the one to get. The drivetrain is the same as found in the Trailblazer SS, but with the vastly superior Saab interior. I've looked at these multiple times over the last few years, opting instead to buy a V8 Pathfinder and a MINI Cooper S Convertible instead. Like so many awesome cars, this is the answer to a question no one was actually asking. The 9-7X gets too much flak. Was it a true Saab? Certainly not. Was it actually quite a good SUV? Certainly yes, especially the Aero! Nice post! Just bought one (not an Aero). $5500.00, 130K miles. I love it.